Dorothy J. Mosher was born in Detroit, Michigan. She graduated from the University of Illinois, Urbana-Champaign, and later attended Scarritt College in Nashville, Tennessee. Mosher has three grown sons. Her interests, besides writing poetry, are gardening, advocating social justice, needlepoint and reading. She lives in Nashville with her husband, Bruce. 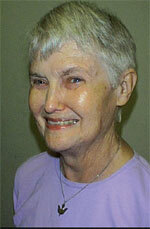 She is a lay member of Edgehill United Methodist Church. 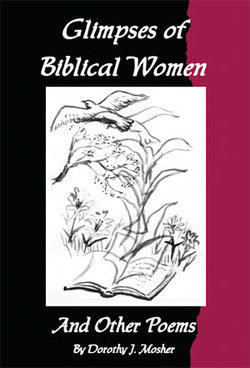 women found in the scriptures. Each study takes the form of an introduction, a poem, and summarizing thoughts to consider. It is a stimulating study guide that will bring new dimensions to your Bible study group, fellowship or prayer group, in your private devotions, or even as a basis for a biblically based retreat.